The specialist adhesives team at Intertronics have put together a wide portfolio of products specifically designed for medical device assembly – two specific applications are addressed now in new selector guides from sales partner DYMAX – focusing on Needle Bonding and Catheter Assembly. The guides are packed with detailed information intended to help device manufacturers choose the appropriate adhesive, along with compatible dispensing and curing equipment to suit individual needs. 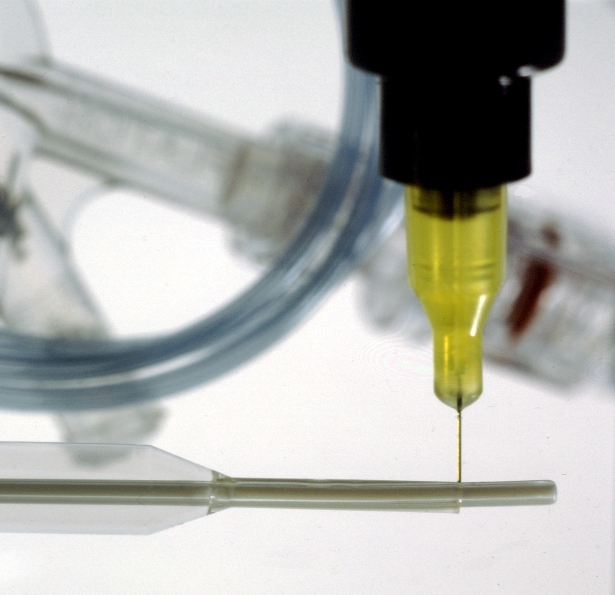 The guides feature extensive technical data regarding available adhesives, typical substrates, as well as appropriate dispensing and curing equipment. Many adhesives are either red or blue fluorescing as a further aid to quality assurance and product verification. Additional tables advise relevant information such as joint design criteria, viscosity, production throughputs and estimating usage. These free guides may be requested in hard copy from the Intertronics sales team – who will also be delighted to advise on applications – or they may be downloaded from www.intertronics.co.uk/products/cdymmd.htm. To contact the sales team for your copy of these useful guides, call 01865 842842 or e-mail [email protected] For further information please see www.intertronics.co.uk or visit their blog at www.adhere.uk.com – also see www.youtube.com/intertronicsadhere.